Embark on a relaxing holiday now in the Bay of Islands. Crows Nest Holiday Villas provides a magnificent holiday destination with exclusive views overlooking the magnificent blue-green waters of New Zealand’s Bay of Islands. With two exclusive villas, you can enjoy the outstanding vista from above the international yacht harbour, nestled between Opua and Russell. Crows Nest Villas are private, secluded and comfortable. 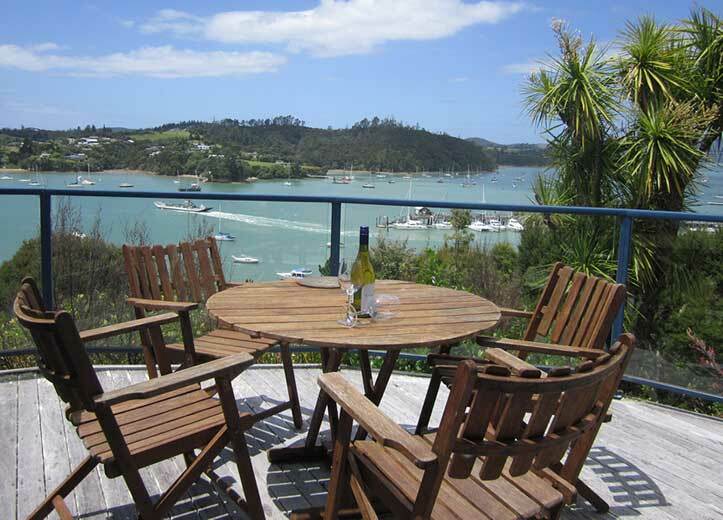 You can enjoy your own personal haven in our self-catering holiday homes perfectly situated with tranquil sea views over the Opua wharf and water, where yachts and boats are moored. 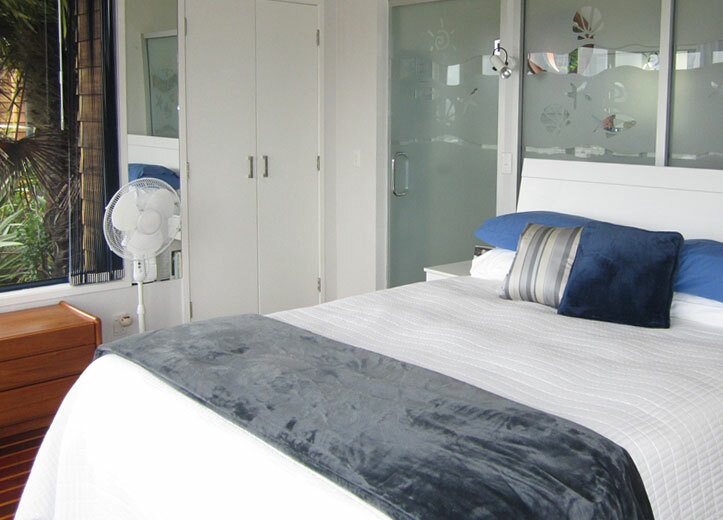 The Sails Villa has 1 queen bedroom with ensuite, as well as 1 queen and single bedroom with ensuite on an upper level. The ensuite bathrooms have a large open shower area and a separate toilet room. The bedrooms are separated by an open plan living and dining room with a fully equipped kitchen for self-catering. Bridge Deck Villa offers 2 queen bedrooms each with an ensuite bathroom. The ensuite bathrooms have a large open shower area and a separate toilet room. The bedrooms are separated by a large open plan living and dining room with a fully equipped kitchen for self-catering. Only five minutes drive away from the beautiful and safe swimming beaches of Paihia, Crows Nest offers an amazing getaway for your holiday. You can reserve the occupancy of either holiday villa or rent both for a large gathering. Crows Nest offers a perfect base to take advantage of the many attractions that the Bay of Islands has to offer just minutes away from Paihia, Waitangi and Russell. We can provide you with information on all the activities the Bay of Islands has to offer. At Crows Nest we aim to provide our guests with the privacy the villas are known for, so your hosts are resident off-site, allowing you to enjoy the entire property undisturbed. We aim to make your stay here at Crows Nest Villas memorable, relaxing and satisfying. To make sure you can enjoy our Crows Nest Villas at the time of your choice, contact us to discuss available booking times so you don’t miss out!